Learn more about closed PODs. In a public health emergency, authorities such as the Federal government and the State of Hawaii will take action to safeguard state residents and visitors. The Hawaii State Department of Health (DOH) plays an integral part in such an effort by planning for and operating emergency distribution of lifesaving pharmaceuticals. This is done in partnership with the US Centers for Disease Control and Prevention (CDC), which has created a Strategic National Stockpile of pharmaceuticals and antidotes to protect the American public in the event of a natural disaster or bioterror attack. This cache can be sent quickly to any state if local hospitals and pharmacies will not have enough medical countermeasures to meet the general public’s demand. These are often distributed through so-called PODs. A POD (Point of Distribution) site is a location where you can go to get medications or vaccines during a public health emergency. POD sites are typically held in familiar and easily accessible locations, such as schools and community centers, etc. Routine medical care is not provided in a POD. Instead, the sole purpose of a POD is to distribute medication or vaccine quickly to large numbers of people during a public health emergency to prevent illness. During a public health emergency, such as a disease outbreak or bioterrorism event, DOH will be tasked with opening PODs to provide medications, vaccines, or medical supplies to anyone in the community who has been exposed to the disease. DOH’s Office of Public Health Preparedness works to protect the public’s health during large scale disease outbreaks or a bioterrorism event. 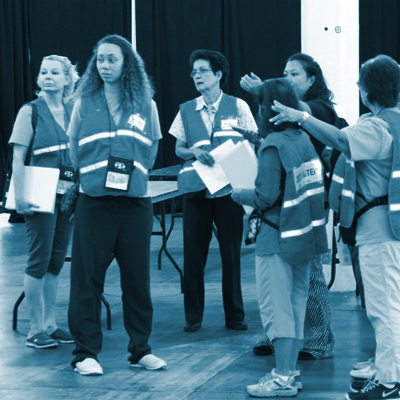 This includes pre-event planning and relationship building with community partners, private industry, and other agencies to identify and plan and train staff for PODs before an emergency ever happens. Everyone going through a POD will be required to complete a Medical Screening form that will be provided at the entrance of the POD location. During a public health emergency, DOH will open PODs to quickly get medication, vaccines, or medicinal supplies to the people affected by the emergency. The POD locations will be available on this webpage and elsewhere on the Department of Health site.